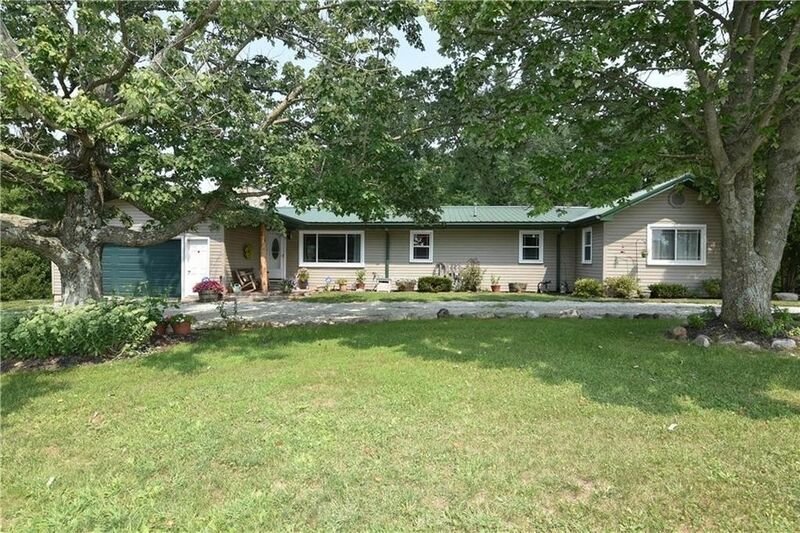 Idyllic 10 acre wooded setting vinyl ranch with 2 car attached garage. Newer metal roof. Windows and septic (2016). City Water. Lovely kitchen w/stainless appliances | White cabinets | Granite counters | Maple hardwood floors in kitchen, living room and family room | Large screened porch overlooks horse barn and woods. Easy access to I65 and Woodside industries.